With Marco Rubio set to make his presidential run official later today, here's a reminder of why he's considered a formidable candidate for the GOP nod. Other than Wisconsin Gov. Scott Walker, Rubio scores the highest among Republican primary voters when they are asked which candidates they COULD see themselves supporting. 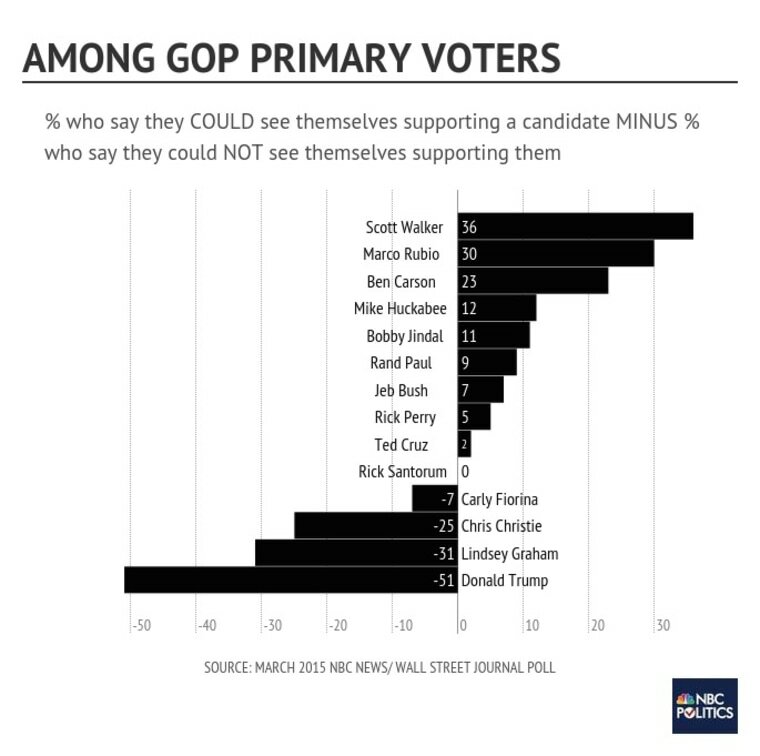 As you can see from this chart based on our March 2015 NBC News/ Wall Street Journal poll, Walker has the highest net support, meaning that the most GOP primary voters say they COULD see themselves supporting him rather than saying they COULDN'T see themselves backing his candidacy. Rubio comes in a solid second. Rubio's home state rival, Jeb Bush, does a little bit better than breaking even. And Chris Christie, Lindsey Graham and Donald Trump are way underwater, even within their own party.